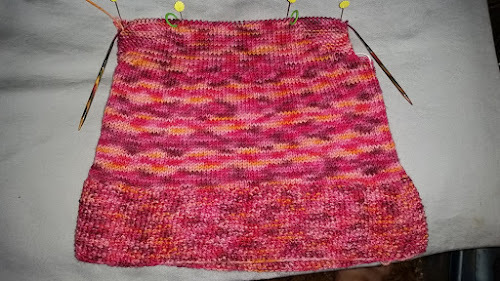 With just over a week before the scheduled arrival of my newest grandchild, I am concentrating my knitting the little dress for her. I have passed the front back split, barely visible here on the right. 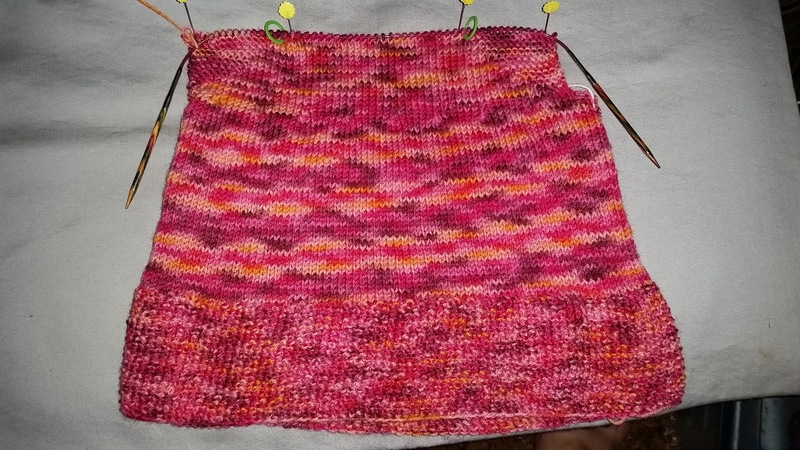 The shoulder shaping is all achieved with garter stitch gradually increasing along the arm split. I should have the back done this weekend I hope. 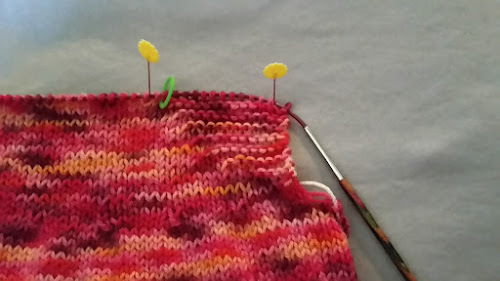 Since I will be working the election on Tuesday, I may not have much knitting time available that day, so I better get cracking. I also want to share my new watch. I wanted an all purpose yet nice watch, for cheap. I also have a large wrist so I have a hard time finding one that fits comfortably. So I browsed the cheap watches and bands while in Wally World the other day. 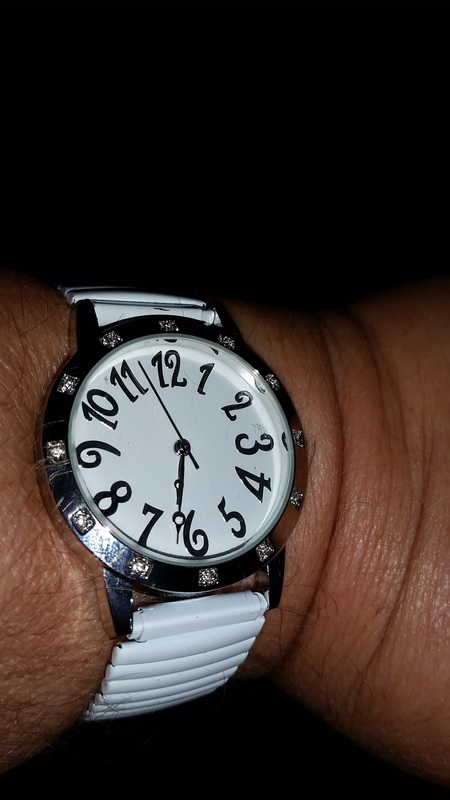 And with a bit of work on the part of the sales lady, presto change-o, I had a watch that fit. A $7.88 watch with a $5 band put together into one piece. Affordable and easy to read.